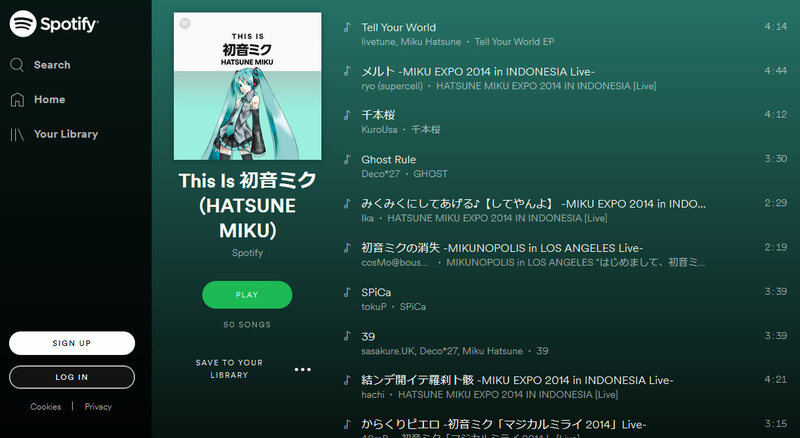 In some pretty amazing news, we’re happy to report that the popular music streaming service Spotify now has an official Hatsune Miku playlist! The playlist is titled “This is 初音ミク (Hatsune Miku)”. The playlist was seemingly added to the site on November 24th, and “Features greatest hits from the world-famous virtual singer “HATSUNE MIKU”!”. You can enjoy the playlist from the following link.